A while ago I worked on the Superfoods TV show, and matcha tea was one of the big discoveries that I took away from the job. Matcha contains the best bits of green tea leaves, ground up into a powder. It’s full of anti-oxidanty goodness, and way less caffeine than tea or coffee. But what happens if you slap it on your face? 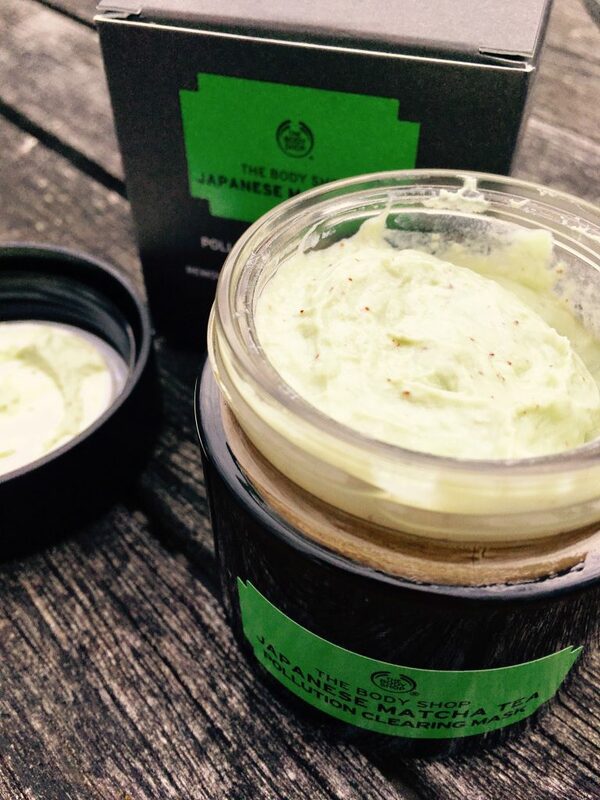 The Body Shop have been finding out with the launch of their new Japanese Matcha Tea Pollution Clearing Mask. 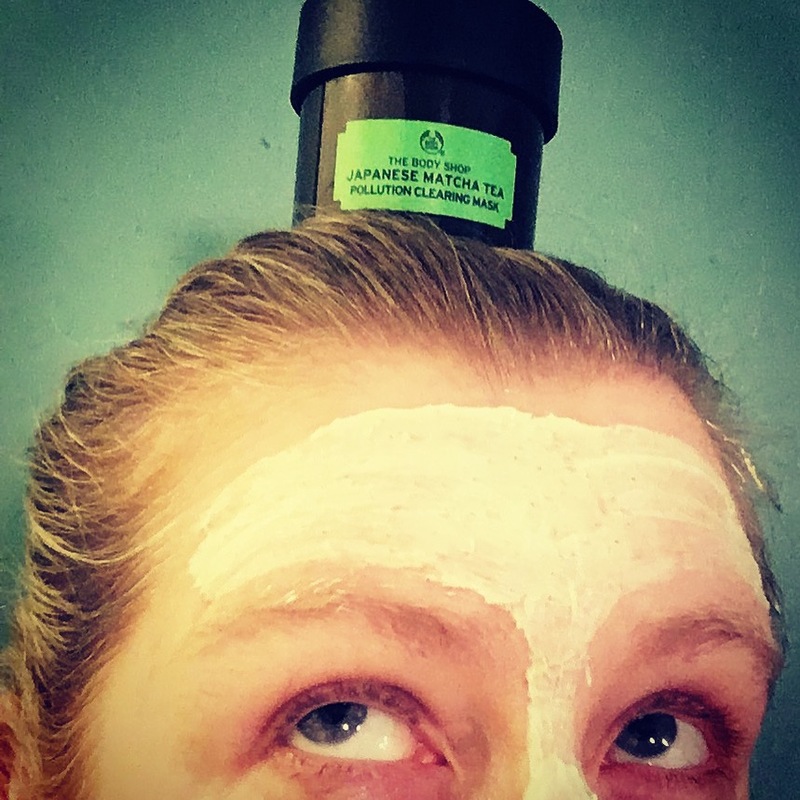 You may well have seen this matcha tea mask on Instagram, since The Body Shop have gone in hard and heavy with the promotion. 100 masks were sent out to influencers (and normal hobos like me), with the invitation to share a masking selfie under the hashtag #daretomask. When a company does such a wide campaign, that says to me that they have tremendous confidence in the fabulousness of their product. Either that or they ordered too many and really, really need to get them shifted out the warehouse. 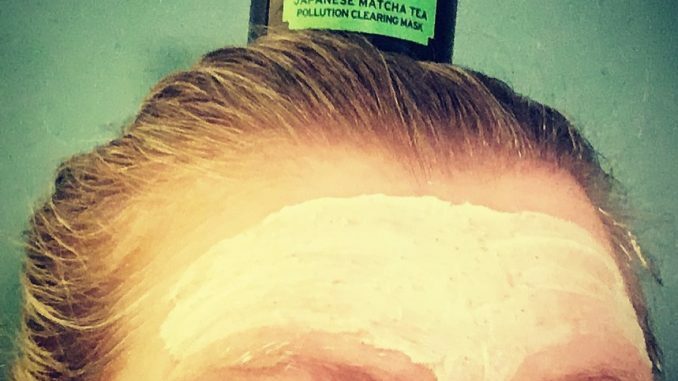 This is marketed as a Pollution Clearing Mask, which seems to be fancy talk for an exfoliating mask. It removes daily grime and dead skin via tiny, natural exfoliating particles. As well as matcha, it contains French dandelion extract. Dandelions were another superfood I discovered whilst working on the show, but I didn’t keep that one up. They taste bloody horrible. If anyone ever offers you dandelion coffee, run away fast because they clearly hate you. Apply to a cleansed face and leave on for 5 to 10 minutes. You’ll find it feels quite cool and tingly on the skin. Then massage in for plenty of exfoliating action and wash off. It washes off quite easily, unlike a lot of clay-based masks. The exfoliation is quite gentle – it’s a lot less scrubby than Kiehls’ similar natural exfoliating mask. Great for a deep clean at the weekend when you are feeling like a filthy beast and really want to shrug off the grime. It leaves the face soft and clean, not dry and tight as some masks can do. The teenager and I have both been using it and give it the thumbs up. We found this to be a very cooling and refreshing mask to use. Just one warning though – it looks a LOT like guacamole so don’t stand to close to an Instagrammer when you’ve got it on, or they will spread your face on their toast. The Body Shop’s Japanese Matcha Tea Pollution Clearing mask is available now in stores and online here, RRP £17 for 75ml.